Treat Dad to a Great Day of Golf! Father’s Day is just around the corner and sometimes it’s hard to decide on a gift for the father in your life. Luckily we have a few great options for you to choose from! 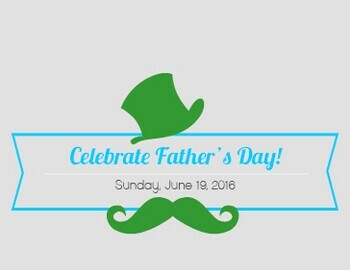 - Our Father’s Day Golf Special: Join dad for a fun round of golf on June 19th! This year we have a Father’s Day special for all dads that includes 18 holes, a cart, a small bucket of range balls, a hot dog and a sleeve of golf balls! The public rate for this special is $65, all Four Score card holders pay $55, and all seven-day members pay just $10! - The Four Score card: Our loyalty card is a great gift for the dad that plays occasionally throughout the year. The card is $74 and includes a free round of golf. For 365 days the card holder will receive 15% off the regular greens fee at all four Prince William County facilities (Prince William GC, Forest Greens GC, General’s Ridge GC, and Lake Ridge GC). For every $1 the card holder spends on anything in the golf shop, a point is earned. Those points add up to free rounds of golf at each of the four properties. - Gift Cards: The perfect gift when you’re not sure what fits dad’s needs. We sell gift cards online and in the golf shop for any dollar amount. The cards work at the four PWC courses listed above and can be applied to anything for sale in the golf shop, including greens fees and lessons! To make a tee time, or if you have any questions regarding any of the items above, give us a call in the golf shop at 703-754-7111 or send us an email at info@princewilliamgolf.com! Also, if you come out to golf for Father’s Day, check-in and share a photo of your Father’s Day memory with us on our Facebook page! Thanks to all dads for being awesome and we hope you all have a great Father’s Day!